Monday January 21st I attended IBM’s Domino V11 Jam in Stockholm, Sweden. This was the eleventh jam in this round, and there were also jams like this for V10. 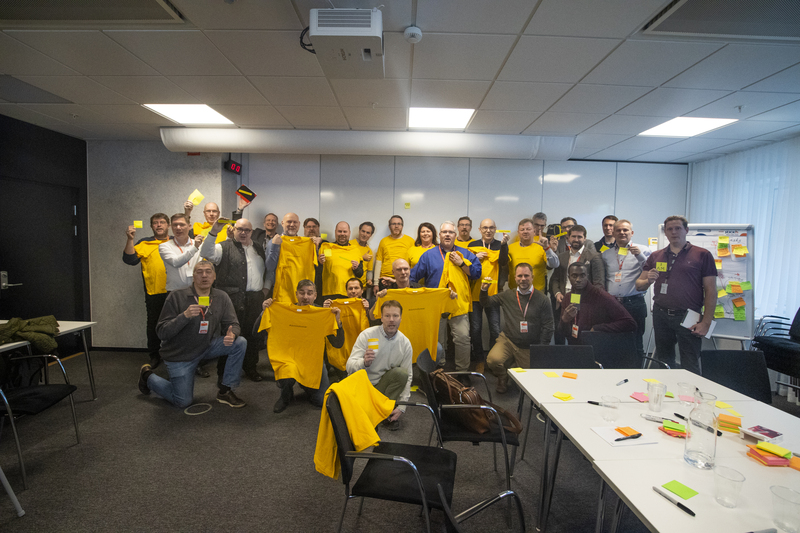 IBM and HCL take the suggestions and feedback that the customers and business partners who attend come up with back to their strategic teams and developers. Around 50 people turned up, which I was very happy about. I was the only Norwegian in the room and there was at least one Dane there too. Uffe Sørensen started by wishing us welcome. He then informed us that from February 1st he is moving to HCL, since HCL have bought the entire Notes/Domino portfolio from IBM. I suspect we will get more news like this in the coming weeks. I’ve spoken to a few IBM-ers working with IBM Collaboration Solutions who are nervously facing a very insecure job future. While V10 was mostly focused on the Domino server, to get It up to speed for more modern technologies, V11 would focus more on the user interface. Especially for the Notes client. Group 1 languages will appear soon. The translation of the Notes client and designer has been slow coming. Turns out that while IBM had a huge department and lots of resources for translating the software, HCL did not. But it’s on it’s way. He also mentioned the new Forester paper that showed how great the TCO is if you’re running Domino. Jim Kirkpatrick from HCL then took over. He’s a former IBM-er and also took questions from the attendees, which both him, Uffe and Andrew answered. Eclipse will remain in V11, so that people depending on plugins and Xpages can relax. We then had a debate on whether this was a strength or weakness. Some people said that to be able to move into the future with the platform, it had to shed old baggage. We then split up for the rest of the day into groups: Administrators (I was in that group), Developers and Customers. 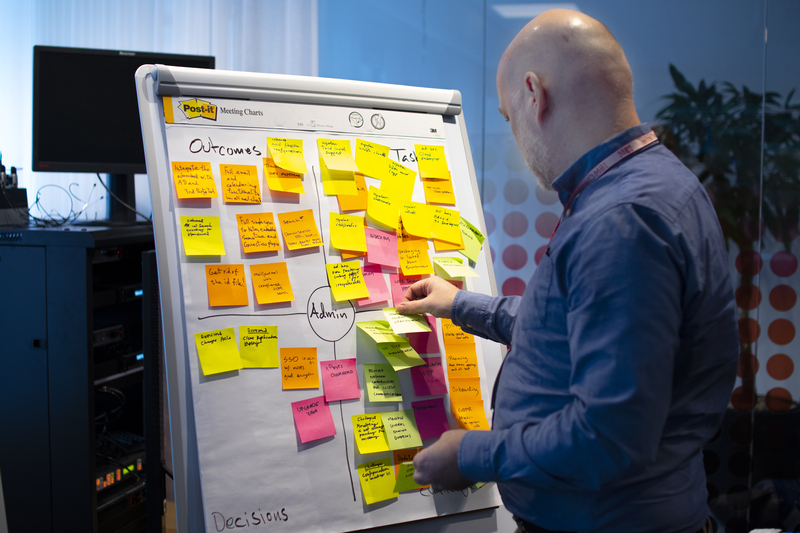 We all had whiteboards that were split into four squares: Outcomes, Tasks, Challenges and Decisions. After writing our ideas, wishes and complaints on post-it notes, we hung them up into the square we felt it fit. We were then told to group them into categories, before each group did a few minutes of presentation of our points. In short: Notes/Domino is still a very important part of several companies infrastructure, so as long as HCL doesn’t miss the boat, they have a great opportunity for renewal. But: They also have a huge challenge when it comes to sales and marketing, not to mention pulling in new customers, developers and users. After six hours, the jam was finished, and I think most people who came there were happy with it. And I also got to promote the Norwegian user group’s upcoming Nordic User Group conference that will take place in June in the very same rooms where the jam took place. The feedback I got when I asked if people would attend was great. 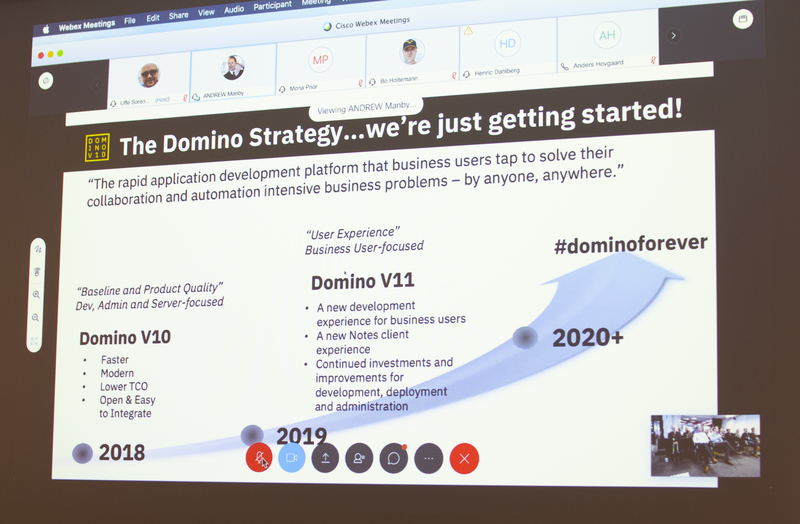 There will be more Domino V11 news both there, at IBM Think in February, Engage in May and DNUG later on. Stay tuned. I do not understand why IBM/HCL is not updating XPages with the latest JSF, open it up for other UI frameworks for JSF. That would be really TCO for those who invested in Domino! They could skip maintaining Bootstrap in XPages. Hope to see you in June in Stockholm and if you need a presenter on XPages I am glad to help you. Interesting thoughts, Patrick. And yes, we are VERY interested in a session from you on Xpages. I’ll get back to you. 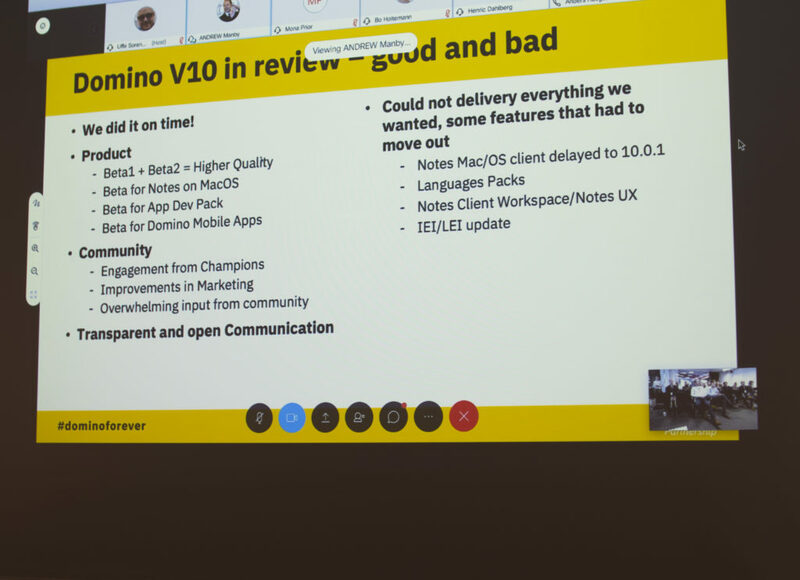 While I agree that a short term update/refresh of XPages would be beneficial to existing clients, I think the Notes/Domino community will be better served in the long run, by adding/improving features that allow Domino to be used with more popular frameworks. While it’s true that converting XPages to a new framework would lower TCO for existing apps, it also improves TCO for new customers who are already using a popular framework. From a new sales perspective, I would think it would be much easier to get companies to try Domino, if they can utilize existing skill sets. Perhaps keeping/revamping XPages so it provides the quickest development experience while providing other options? I look forward to seeing HCL’s development roadmap. I agree, and I think that’s the direction HCL is taking Domino. Make it more open and make it play better with others. Did XPages have any ‘friends’ in attendance flying the flag. I get the impression these events are attendent by ‘high end developers’ who advocated XPages a few years ago, then moved on to other things. I’m sure there is a thriving XPage community out there that is under-represented. Xpages do get some love in those circles, but it’s no secret that in the 11 years Xpages has been around, it never took off as IBM had hoped. I think it was too difficult and it like most things Domino, IBM neglected it. My company has created a lot of Xpages solutions, and some of them are today suffering because the Java frameworks is years behind today’s standards. I’m mildly surprised about the emphasis on improvement of email in the client (although it is needed) vs improved app dev in the client. To me the lowest overhead in creating and deploying an app is the form design in the client. That and the management of said apps is what I would like to see. I hope they improve what is there rather than go off on a tangent with another programming paradigm that’s incomplete and a challenge to manage. In any case, there appears to be enough improvement to go around, and with time and luck HCL will be able to make everyone happy. There were talks about client UI improvements, and I’ve been part of a team that has been evaluating the design of the Notes V11 client. Unfortunately I’m under NDA and can’t disclose anything. However, there will be lots of good stuff happening on the UI side. I couldn’t agree more Wayne, I only moved to developing in XPages, because I was under the impression the writing was on the wall for the client. Now it seems XPages is the one to go. Developing for the Notes Client could be improved greatly, but as you say, it is a breeze. I understand taht Domino need to be opened to other technologies and languages(Node.js) but i don’t understand why IBM/HCL must punish all of people/developers who remain faithful to Domino and spend many years investing on XPages. As I changed jobs in December, and I’m now in a company that has invested heavily in Xpages, both for applications running in the Notes client, as well as on the web and in widgets, I agree. It would be very costly to chuck all that work out and replace it with other technologies.